According to Indian trend mehandi is a pre-wedding function for marriage. “Hatho main inn…hatho main…likh de mehandi se..sajna ka naam…”. Let's take a look at some cool ideas, relation, rituals, customs duty and importance. Although, the formal was primarily observed in parts of north India, Rajasthan, Gujarat, Uttar Pradesh, Bihar, Madhya Pradesh and Punjab, the trend has profitable popularity all over India. 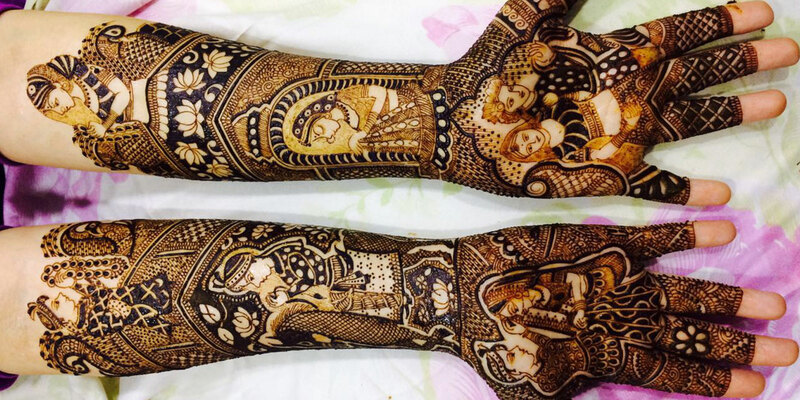 More and more civilization are comprise the consideration of Mehendi Ceremony as a pre-wedding ritual mightily due to the aesthetics involved. The ceremony has come a sign of dignity, enjoyment and festivities, and release for some major pre-wedding girl bonding. Today, the mehendi function has turned out to be more fancier than it used to be a few of years back. Brides dress up, enjoy with loved ones, and wouldn't fret going over the edge to get the best mehandi artists for the best mehendi. Indeed, some even have an special photograph shoot for their mehandi function. To make your mehandi service unique and to get the best design, we have for you the best mehendi specialists from all sides of India. The most widely recognized related to mehandi is its colour. 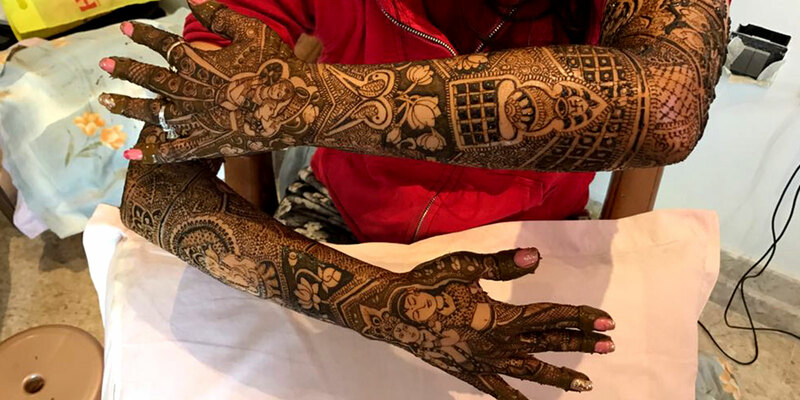 It is trusted that darker the colour of the mehandi, the more the bride will be loved by her groom and in-laws.Another belive is that the more extended the mehandi stays, the more she is loved by her mother-in-law. The designs include the name of the groom, which is to be found by the groom before the wedding night.